On December 7, the fourth PhD Brain Award ceremony took place. 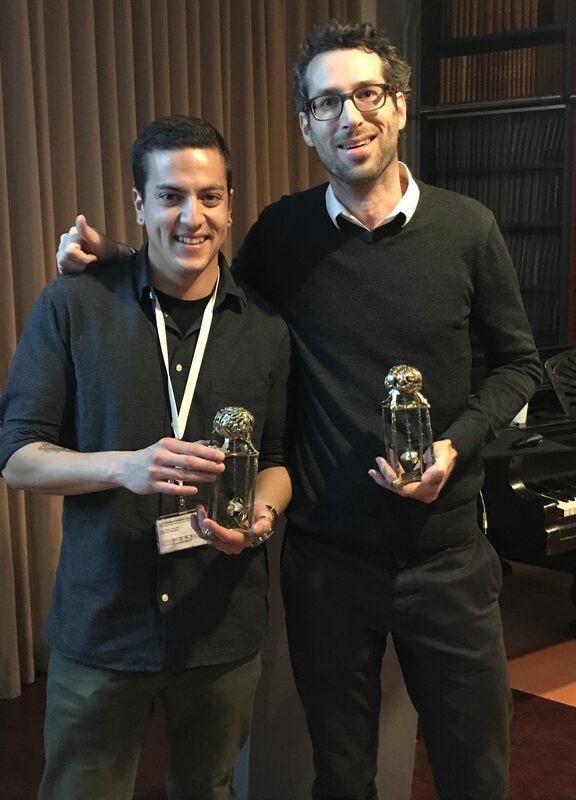 This year, two Brain Awards, in the categories Scientific Excellence and Collaborative Excellence, were awarded to scientists of the institute to celebrate their achievements. 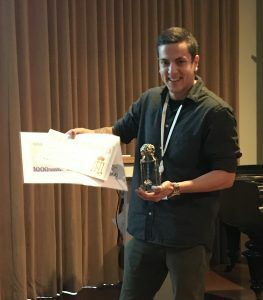 The PhD Brain Award for Collaborative Excellence was awarded to Nicolas Gutierrez-Castellanos. He was first author of a collaborative study between the Kessels and de Zeeuw groups. His paper ‘Motor learning requires Purkinje cell synaptic potentiation through activation of AMPA-receptor subunit GluA3’, published in Neuron, shows how to target novel molecular pathways and synaptic circuits to systematically unravel the circuit basis of motor learning. The judges said that “the study is a product of a synergistic collaboration which pushed the frontiers both in cellular and systems neuroscience”. PhD student Timo van Kerkoerle from the Roelfsema group won this years’ PhD Brain Award for Scientific Excellence. He received the award for his paper ‘Layer-specificity in the effects of attention and working memory on activity in primary visual cortex’ which was published in Nature Communications. The study provides new insights in the laminar circuits involved in the top-down modulation of activity in early visual cortex in the presence and absence of visual stimuli. Since 2015, the institute has been awarding the Brain Awards annually. The award is for PhD students or postdocs who excel in their research. The idea behind our NIN Brain Awards, is to put the limelight on our scientists, and to reward their hard work. Prizes can be won in three categories: ‘collaborative excellence’, ‘scientific excellence’ and ‘methodological excellence’. All winners receive a statue and a cash prize.